The technique of mass spectrometry is used for the structural determination and quantification of a wide variety of organic and inorganic compounds. The unique power of the technique comes from the accuracy with which molecular weights of molecules can be measured. These measurements can be made over a vast range of compounds types (from drugs to proteins, for example from cocaine to albumin), presented in any form (solids, solutions and gases) and in impure states (eg. in extracts of body fluids or tissues and in scrapings from ceramic vessels). These measurements can be made on miniscule amounts of material. 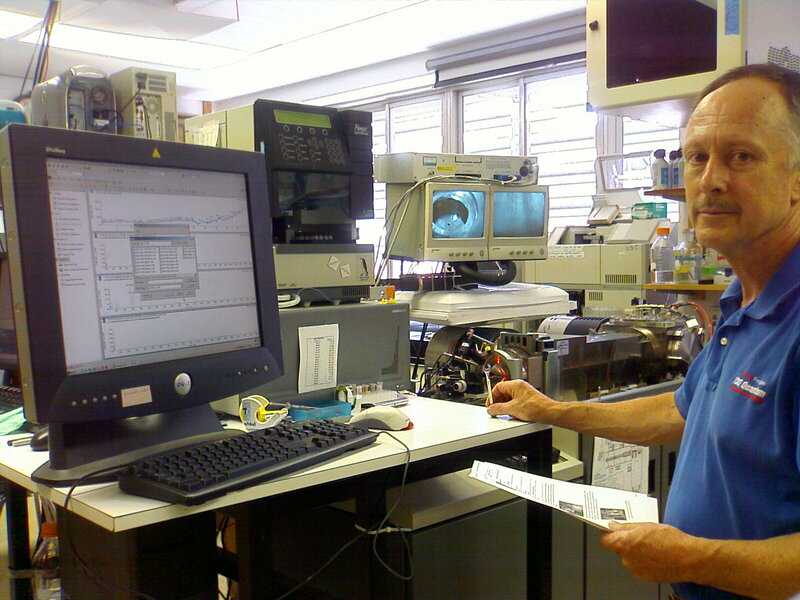 Access to a mass spectrometry facility is essential for the success of any contemporary archeological research unit, and the PMSL provides access to this technique for all members of the Cotsen Institute. Current collaborations involve work on Andean dyes, and residue analysis on ceramics recovered from sites in Egypt, the Sudan and elsewhere.